Thank you for purchasing GeoRover Software. Please follow the directions below to download your licensed software. Please fill in the Logon and Password information received from the GeoRover Product Team via your purchase confirmation email. If this is an initial logon, a change of password will be required. Once logged on, you will be directed to the download site. Problems logging on or additional questions? 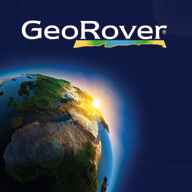 Contact the GeoRover team via email or phone 1-866-417-5322.